When it comes to your health and beauty regimen, one thing many women overlook is the fact that your skin is actually the largest organ in your body. In fact, your skin is actually your first line of defense against foreign invaders. Your skin is also susceptible to absorbing chemicals that are contained in a number of beauty and hygiene products, so it is important to take care with the products you are using. While your liver and kidneys are capable of filtering out a certain level of toxins, over time, these can build up and become a more serious issue. Here are 3 parts of your daily routine you can make healthier. The importance of drinking plenty of plain water cannot be stressed enough. 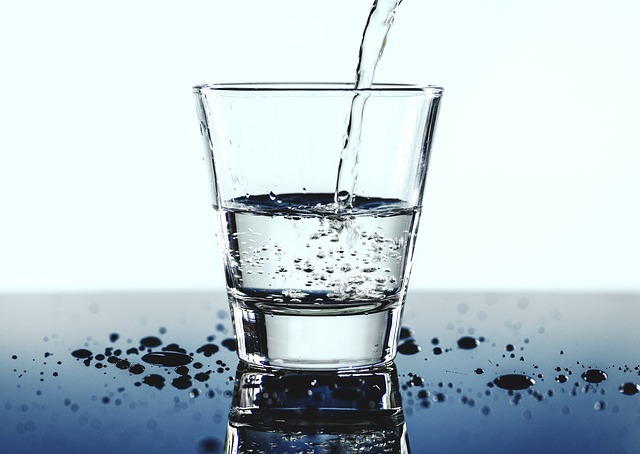 Water is what your body uses to filter toxins and carry them out of the body, but water is also necessary to process other substances like alcohol, sugar and caffeine. If all you are drinking all day is coffee, caffeinated tea, soda, sugary drinks or alcoholic beverages in the evening, your body is most likely using all the water contained in them just to process the other substances. It is important to drink at minimum a liter of plain water a day. The more you drink, however, the healthier your skin will be. Many commercial moisturizers may contain natural moisturizers like coconut oil or shea butter, but they are also often laden with chemicals as well. You can do your skin a serious favor by ditching the chemicals and using natural moisturizers instead. These include products like almond, coconut, grapeseed or olive oil, as well as product like shea or cocoa butter. Commercial deodorants are laden with all kinds of chemicals, but perhaps the most damaging one is the main ingredient in almost all deodorants: aluminum. Aluminum exposure has been linked to the development of Alzheimer’s disease as well as interfering with estrogen levels. If your body can’t process estrogen properly, it puts you at higher risk for either breast or prostate cancer. In addition, many people are sensitive to the overpowering scent of many commercial deodorants. You can do your entire body a favor by investing in a women’s natural unscented deodorant. While each individual health and beauty product may only contain minute traces of chemicals, daily use adds up, not to mention compounds with the use of multiple products. While you may never be able to fully eradicate all the toxins your body absorbs from commercial health and beauty products, there are a number of ways to limit it. In this case, every little bit helps.